British Leyland, Triumph & MG, Extra Large Workshop Sticker. 31". 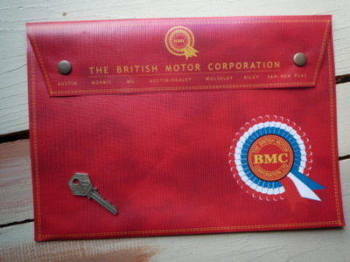 British Leyland, Triumph & MG, Large Workshop Sticker. 23.5". Castrol Castrolite Light Green Vertical Service Sticker. 4.5". Classic Motor Crafts Fibre Glass Bermuda Hardtop Sticker. Austin Healey MG Triumph etc. 3.5".